How not to let ultimate take control over other parts of your life. One of the appealing things about ultimate is that it is like discovering a whole new world.1 Ultimate has its own style, philosophy, jargon, debates, drama, events, and news that seem almost secret from the many people in the world don’t know anything about the sport. In that same way, many of us seem to lead double-lives, one in real life and one in the ultimate world. This can be one of the reasons why ultimate is so addicting — it becomes very easy to dive in and design your entire life around this sport (despite the incredulous eyebrow raising of your muggle friends). However, there can be drawbacks. Jumping headfirst into ultimate sometimes means that your “real life” priorities might be forced to take a backseat, leaving your friends, family, school, job, or other passions in the dust. On the other hand, trying to give everyone their equal due can leave you stretched thin and feeling like you’re letting your team down by not experiencing every single moment of a practice, workout, hangout, or tournament with them. The reality, as it so often is in life, is that it takes a complicated balance. It a common struggle among players to find the secret sauce that keeps you — and those around you that you care about — happy, healthy, and financially afloat while still leading a dedicated ultimate life. Here are five keys to finding that perfect ultimate-real life balance. Priorities dominate every aspect of our life whether we realize it or not. When you decide to skip Friday afternoon class to leave for that tournament early or miss a happy hour at the bar to work out or practice, you’re establishing priorities and putting ultimate near the top. Don’t compare yourself or your priorities to anyone else’s. People care about what they care about, and every single person’s life is different. You may rank going to church or golfing with your dad high on your list, while someone else may make the case for a significant other rating up there. It doesn’t matter what falls where, it only matters what you believe. Don’t feel guilty for any of your own ratings. What makes you happy is important, even if you realize that ultimate might trump your job or your friends sometimes. It’s OK to take things too seriously because that’s what gives them meaning to you. Once you determine where ultimate stands on your priorities list, find a team or playing opportunities that align with the commitment you’re able to give. Don’t decide that other aspects of your life are more important than ultimate and then join a team that demands all of your free time. Vice versa, don’t join a team with a more casual commitment-level and then feel bad when you occasionally have to miss things — or get frustrated when teammates do. One disclaimer here related to prioritization: Priorities are general guidelines, not hard-and-fast rules. Just because you prioritize something highly doesn’t mean you are going to do that over another activity in every single situation. Your family may be at the top of your list, but it is OK to sometimes reschedule a dinner with them to fit your ultimate schedule. Likewise, don’t skip work for every practice if you have a job that conflicts with your schedule. You have to be smart, pick your spots, and find your balance. This is the obvious follow-up after prioritization. Once you have figured out what is important to you, you need to set a schedule. Again, being clear and organized on this point can only help you. In an ideal world, there is little to no conflict in your calendar, but that’s unrealistic and there are (unfortunately) things you are going to have miss. Picking between two priorities is tough, but can be done effectively if you budget well and are organized with some kind of planner. First, look at the most important events in your life, based on priorities and outside factors. For example, your mom’s birthday or family wedding are more important than a weeknight dinner with the parents; likewise, Regionals is more important than an early-season practice. Once the truly key events are on your calendar, lock them in and try to build your schedule around them. This may mean making sacrifices in low-priority areas or giving a little bit more effort or time than you are used to. If you highly value ultimate and your job, you can probably do both simultaneously with full effort as long as you’re willing to shift things around. For example, you might have to wake up early to go to the gym or stay late at the job to earn time off for the weekend ahead. This will take away from other things, so do your best to kill two birds with one stone by taking away from unhealthy or unproductive habits (maybe staying up too late binge-watching TV, or spending a day on the couch with a beverage in hand). Sometimes you have to skip the frivolous or fun stuff to make the tough decision. Vacations or trips are especially difficult, but again that’s why having a good calendar and knowledge of timing is so important. If you schedule right, you may miss something, but what you do skip will hopefully be less important. When in doubt, use the trade-off method: pick the thing that you spent the least amount of time on most recently. Next time, choose the alternative. In the end, it’s all about choices, but this system makes it a lot easier to go down the path of a good balance. This is an extremely difficult thing for many people to learn in general, especially young adults. There are so many great opportunities out there: for careers, academics, or fun. But you are only one person. If you say yes to everything, you’ll be stretched too thin, leading to a breakdown in the body or disappointing someone you care about. Sometimes, you just have to decline, especially if it’s an extended commitment. This might mean turning down a part-time side hustle job or being unable to join that weekly pub trivia team. These can be hard choices, so use your priority list and your budgeted time calendar to help you. If you can, try to reschedule the things you miss, or prioritize doing them outside of ultimate season. As rough as it is, you need to ask yourself two questions before you accept or join anything new. Do I realistically have time for this? Will this make me happier than what I’m currently doing with the time I’m committing? If you answer yes to both, then you have an obvious solution: you should change things around for this new activity. If the answer to either is no, you should decline — or at very least go back a few steps and rethink your priorities list. Again, be clear and be upfront with yourself. People who try to do too much often let guilt overwhelm them or simply don’t take an honest look at their lives, letting the uncertainty lead them on. In the end, say no when you need to. Achieving a good balance doesn’t always have to mean completely walking away from something when you can no longer commit as much as you once did. One of the best ways to find that balance is to modify how you engage with the things you’re passionate about so that you can pursue them in new ways. 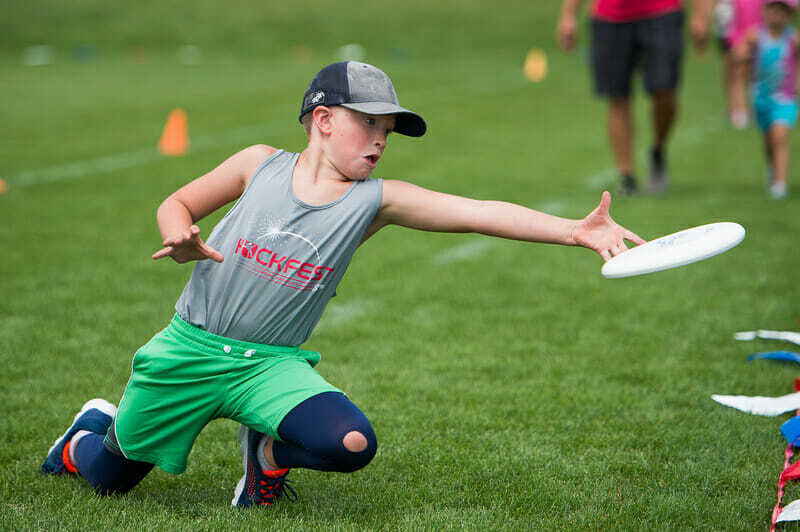 Coaching, writing, filming, hosting clinics, or observing — all of these and more are different ways to engage with ultimate that may not be as large a commitment as playing and might be able to transform your experience with the sport. Heck, they may even help you find a way to get paid to be involved. The same is true for your other passions and priorities. Sometimes even subtle changes can make a big difference. A classic example is family and friend time butting heads with ultimate. Try to combine both! Get your friends and family to play, invite them to watch you compete, and see if you can merge your worlds. Other hobbies are likewise transformable, and even your job or your school can be linked to ultimate in more ways than you might think. Even just subtle tweaks like when, where, and how long you do other activities might make things simpler. Rather than scheduling ultimate practice every weekend, try to have more weekday practices to free up a Saturday or two for fun. Rather than driving two hours all the way home, try to meet your parents in the middle for dinner. Get creative with how you schedule your priorities and you may surprise yourself with how little modifications can make a big difference. Good news! If you’ve done all of the previous steps successfully, you’re likely at a point where you are fairly balanced in your life with ultimate! You will have realized that nothing is perfect in this life and there will still be things that you will, alas, miss out on. Compromise is the solution to 90% of the world’s problems, but it can at times be a bitter pill to swallow. Also, once you’ve achieved a balance, don’t think that stasis will last forever. Life changes constantly and your schedule will shift just as often as opportunities arise. There will be a constant process of minor adjustments, but little shifts should be easy to deal with once you’ve got a good plan and priorities list in place. However, also be aware that, over the long term, priorities can drastically shift. Sometimes it just takes meeting one person to upend your entire view on life. A new coach can drastically shoot ultimate to the top of the list. Or dating can lead to engagement, can lead to marriage, can lead to kids, and suddenly ultimate isn’t as important anymore. There is no right or wrong here. You may look back and be surprised at where your priorities once were, but don’t be upset if there are big changes that come down the road. Eventually, that will mean letting go of the sport bit by bit… but just remember that you can always grab hold and bring it back. Balance in life is about doing what’s best for you to be happy, healthy, and to life your life to the fullest. Comments on "Tuesday Tips: Five Keys To Having A Good Ultimate-Real Life Balance, Presented By Spin Ultimate"